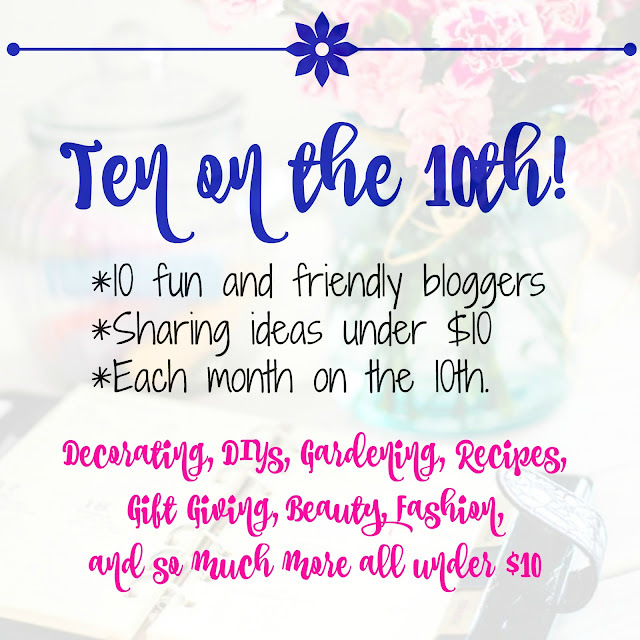 I’m so happy to announce a new monthly feature on the blog called “Ten on the 10th.” Ten bloggers will be bringing you 10 of their favorite things that cost under $10! 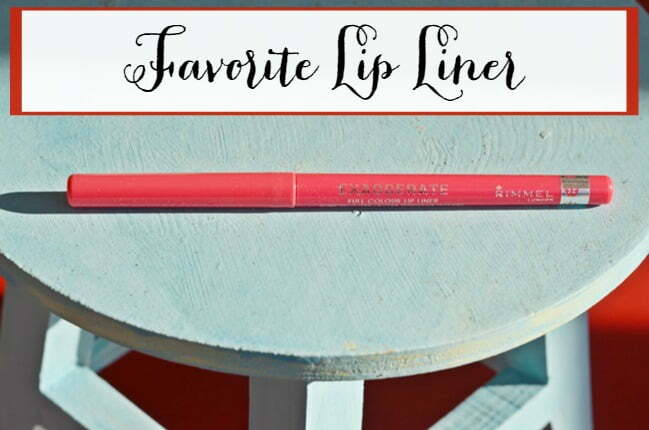 Today I’m sharing…….MY FAVORITE LIP LINER! I can’t wait to see what everyone else is sharing today, but first, let me tell you all about my favorite beauty product that costs under $10 that I simply cannot live without! It’s by a company named Rimmel and you can find it in almost any discount or drug store. I snapped this photo in my local CVS pharmacy. Rimmel is a British cosmetic company (although the lip liner says it was manufactured in Germany.) The House of Rimmel was established as a perfumery in the early 1800s and later went on to make cosmetics in London, England. The brand is now owned by Coty, Inc. According to information online, the company voluntarily stopped testing products on animals in 1991 and ensures that products are safe for human use before they are placed on the market. (Hmmm, I sure hope so!) I have used lip liners by Rimmel for at least 15 years or so, ever since I first discovered them. My favorite color was “Pure” which has been discontinued (don’t you hate it when that happens!) But I’m using a color now that I’m very happy with and it’s called “Pink a Punch.” Since I mostly wear coral lipstick shades, this color goes nicely with them. I don’t really like to see a lip liner on lips because I think that it looks unnatural. My purposes for wearing a lip liner are two-fold. One: When your lips get as old as mine, they lack color! 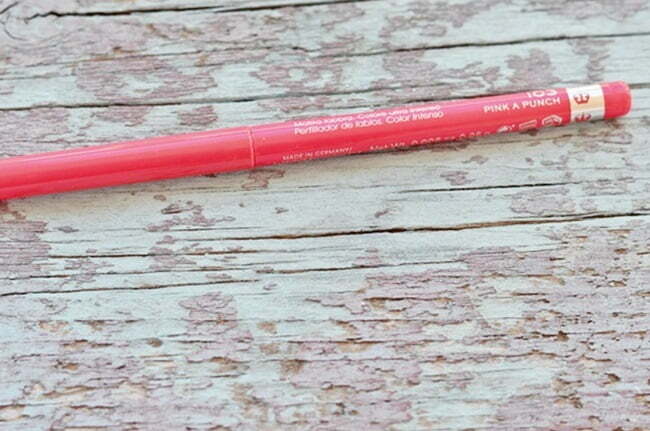 When I apply the lip liner, I put it all over my lips. Even if my lipstick wears off from eating and drinking, a little bit of color will remain on my lips until I can re-apply lipstick. I’ve always had people ask me how I keep my lipstick on all day so this is it!Two: Because the Rimmel lip liner has a matte finish, it keeps your lipstick from feathering. Ok, guys! I took a selfie after I had applied my lip liner and my lipstick (the shade is “Fresh as a Rose #262” by L’Oreal. )I am not in the habit of taking selfies-I didn’t even know where to look at the phone! Just keeping it real! So before we left the house today, I had Leo snap a photo of me. 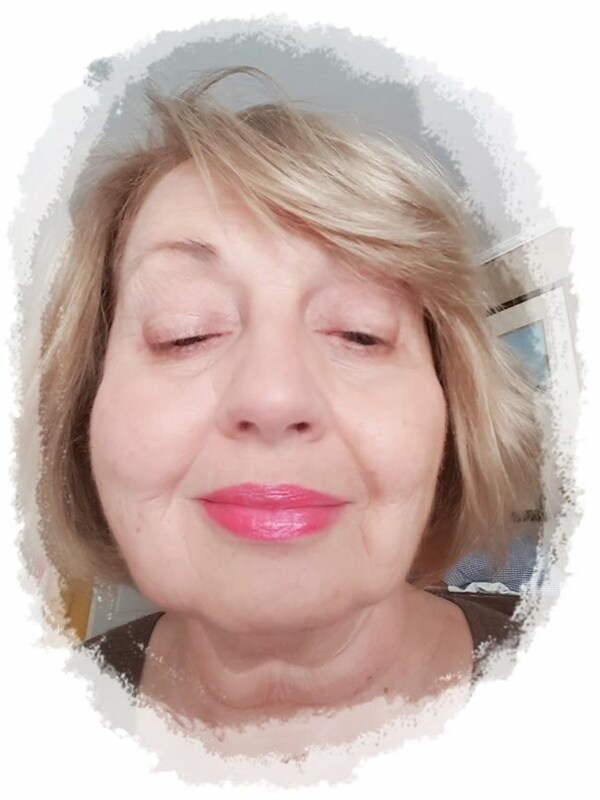 You can see that lip liner and the lipstick look very natural while giving my lips plenty of color! (I am without any eye makeup which I will explain all of that later!) 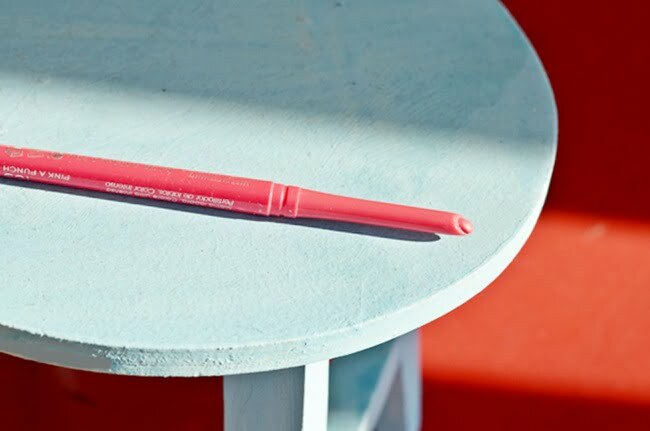 If you want to try this lip liner, be sure to get the one called Exaggerate because Rimmel also makes lip pencils that you have to sharpen with a sharpener. I do not care for those at all. Seems like I sharpen away most of the pencil and sometimes there will be an uneven edge that will cut my lip. The Exaggerate liner has an angled twist up tip (don’t let it extend very far past the opening because it will break off easily!) Although you can find my favorite lip liner under $10 most anywhere, the best price can be found (affiliate link) HERE on Amazon. 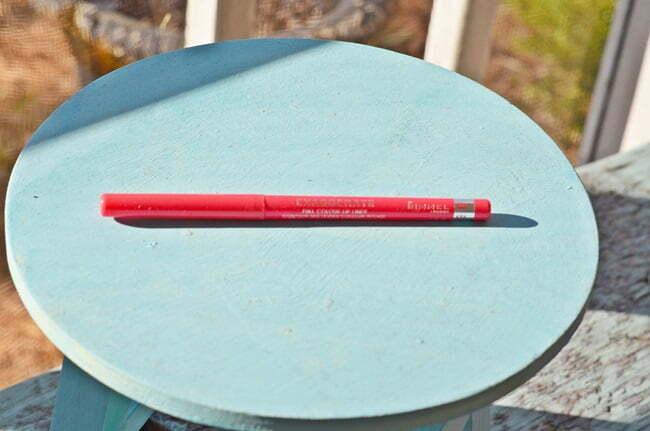 I hope you’ve enjoyed hearing about my favorite lip liner. Nine of my blogging friends are sharing their favorite inexpensive things today. Just click on the links below to see their favorites! Thanks so much for Sharing!!! i love REAL people!! 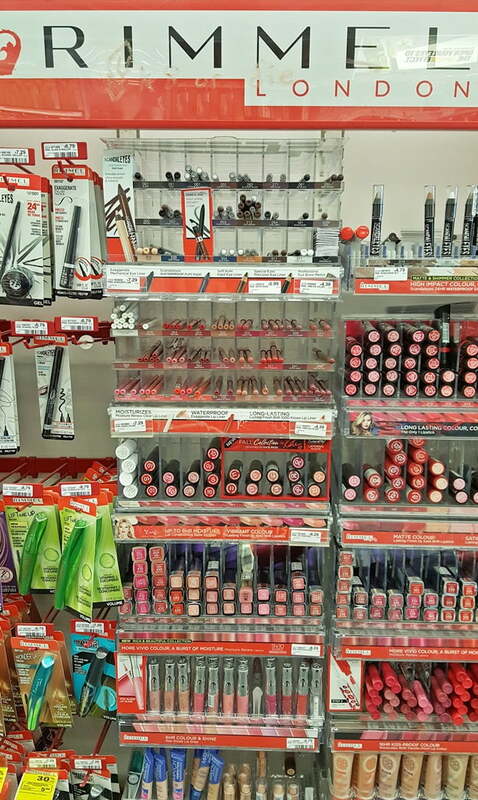 I did some research on Rimmel a few years ago and they have a great reputation for good products without crazy prices. Thanks for reminding me of this and so happy to be finding your blog and being a new subscriber! 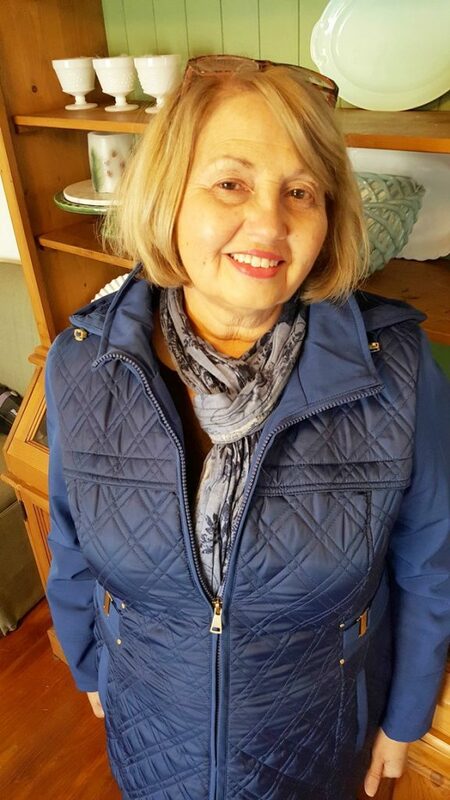 Pink is my favorite color and it looks great on you Jane! This looks like a fun series to follow! Your lips look gorgeous! It looks wonderful with your pretty face and skin! I need to read the instructions more carefully. You look so pretty in your photos. This reminds me I need a lip liner. I have used Rimmel in the past but I had forgotten about it. I think I will look for one today. Great post and I loved your selfie. I use the same lip liner and love it. PS: I love your garden. Have you and Leo ever considered having bees too? Jane you are SO cute and I have put Rimmel lip liner on my list. I too don’t care for sharpening pencils so this is a perfect solution. What a great find! Thanks and I will go look for the entire line! Girl!! You are speaking my language now. I didn’t used to care about these things that much but in the last year I’ve taken on the battle of fighting the aging, colorless face! I’m definitely going to try this lip liner and the lipstick too. Love the colors you’ve shown! I’ve been watching YouTube videos for makeup application for women over 40. You could be making them! Thanks so much for sharing this. I’m buying some today. Jane, Thanks for the recommendation. I love that color! Pink is my go to. I can’t wait to try it. Thanks for sharing! Love this tip, I normally skip the lip liner because I’m in such a hurry, I’ll have to reconsider.This is my first time visiting your blog so let me also say it’s nice to meet you. Looks like you have some fun things here. Looking forward to reading more. Love this feature!! Had no idea about the lipliner!